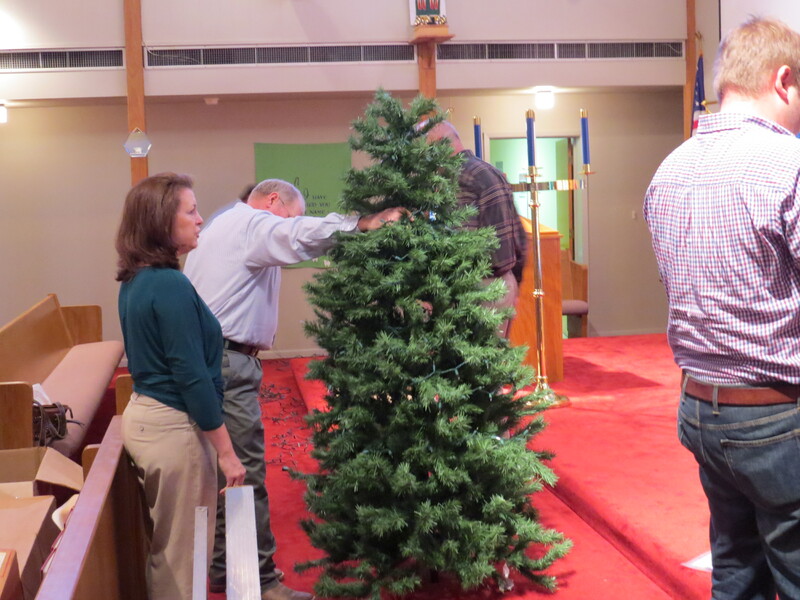 On Sunday, November 30, after worship a team of volunteers set up our Christmas Tree. We are very thankful for their dedicated service. 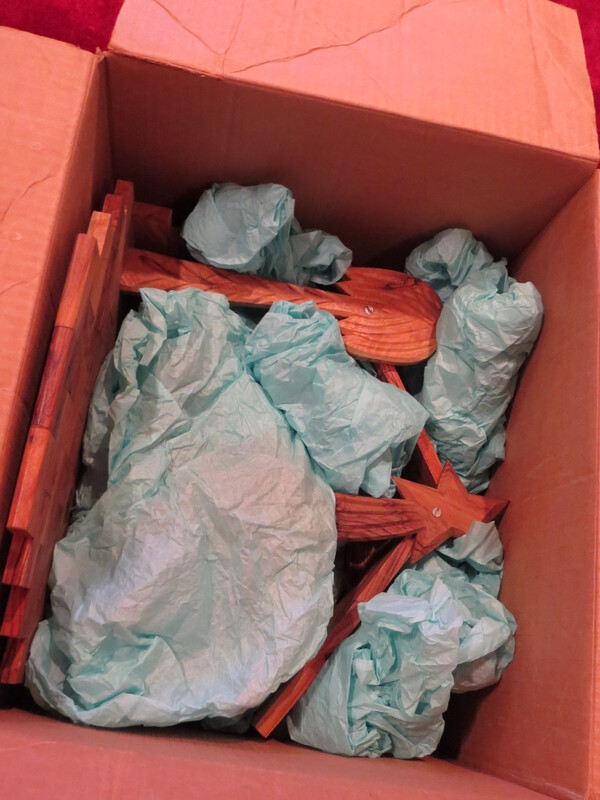 This was part 1 of a two part process. We invite you to participate in part 2 of this process. 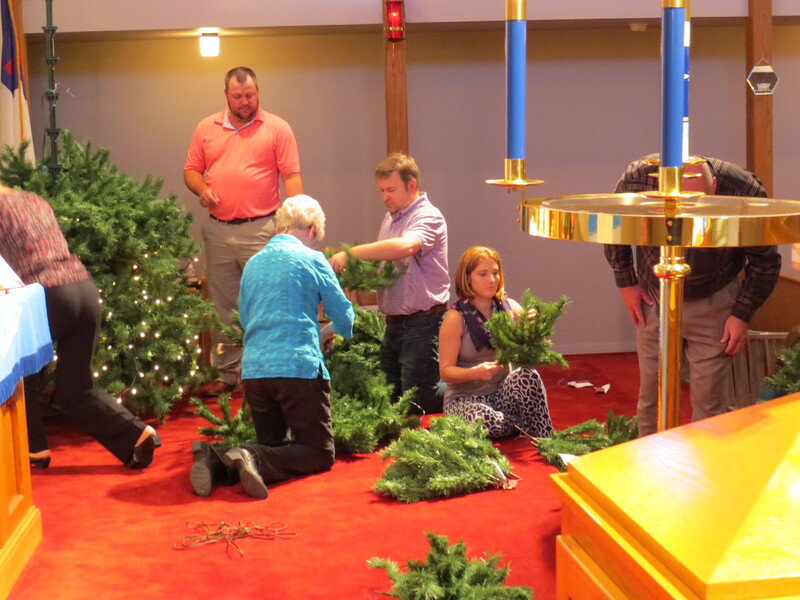 On Monday, December 1, starting at 6 p.m., we will hang the Chrismons for the tree. 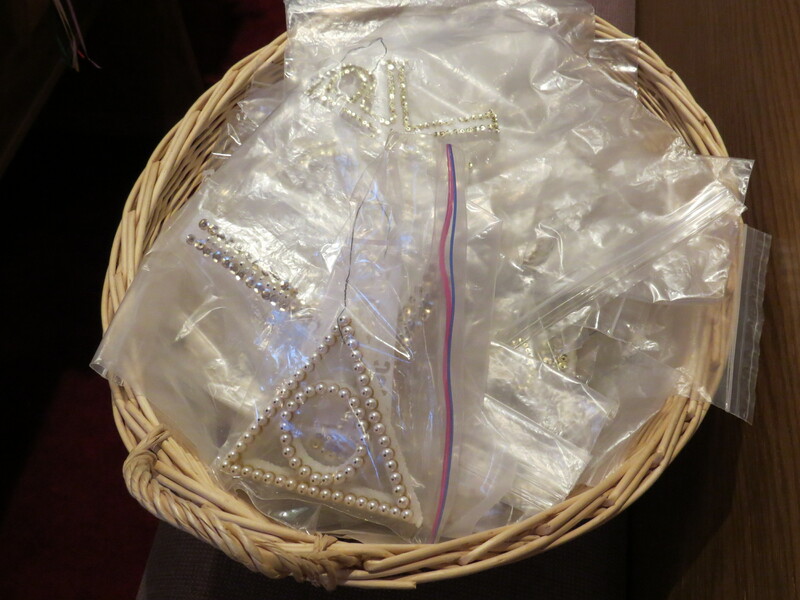 These were made following patterns suggested and offered by the originators of Chrismons (click this link for more information from the official web site of Chrismons). 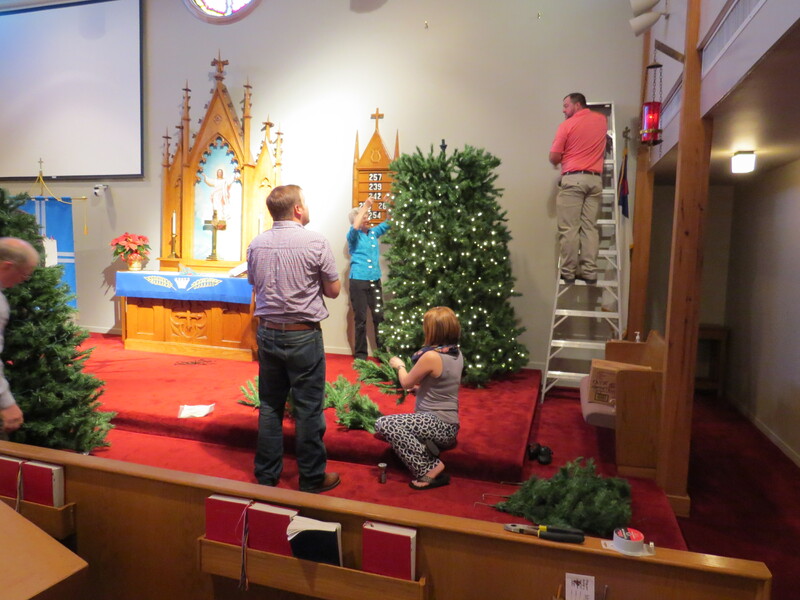 Refreshments and food for all will be provided by the Mary Group Circle. Please plan on staying to enjoy the fellowship. 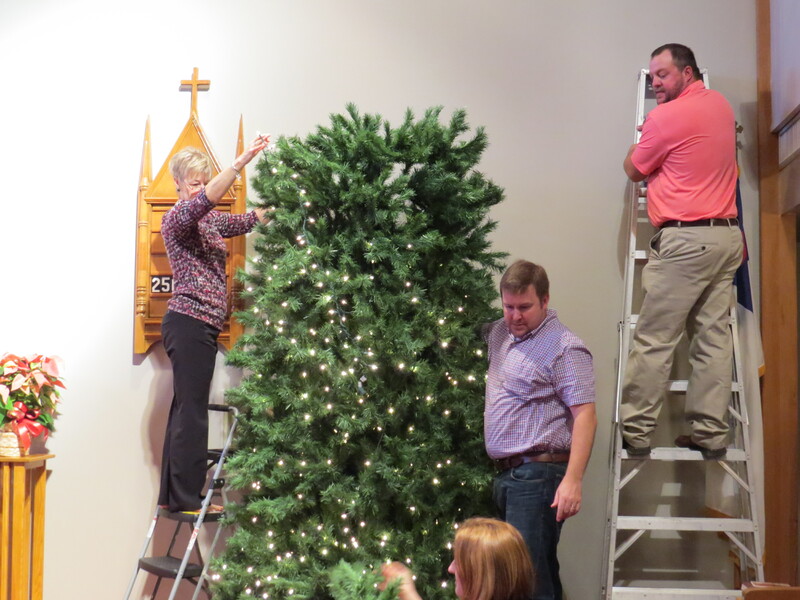 Here are some photos of our crew setting up the tree and preparing the lights. 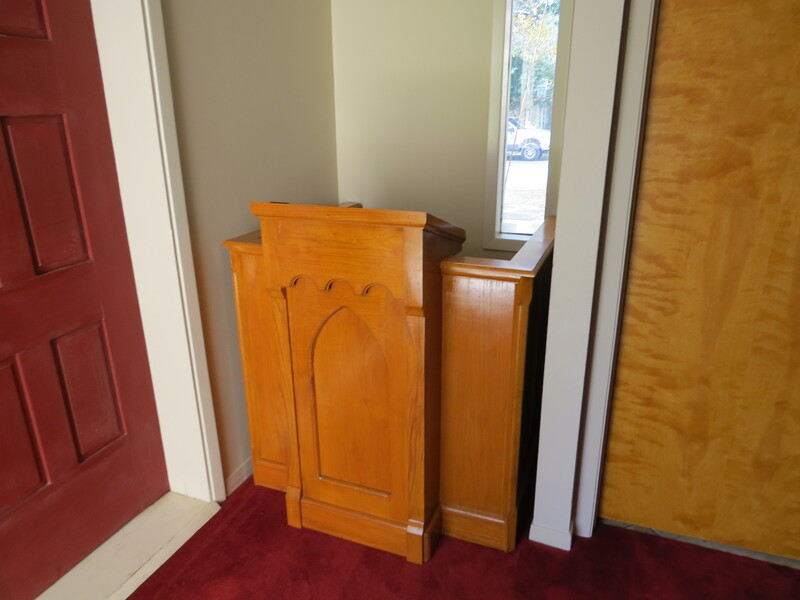 Our pulpit is moved to a back corner to make room for the tree and Nativity scene. Here is the finished product of the work on Sunday. Remember, we will complete the work on Monday, December 1, starting at 6:00 p.m. You are invited to come and participate. 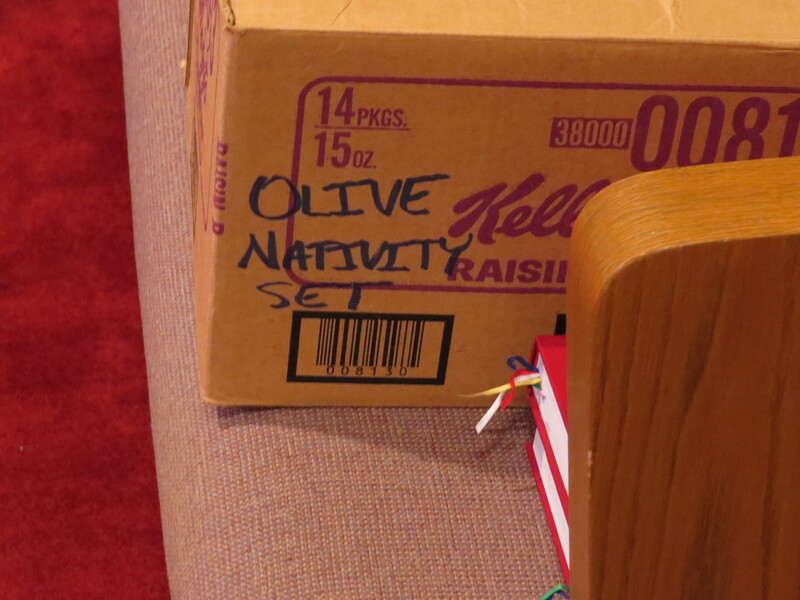 Food and refreshments will be provided by the Mary Group Circle. 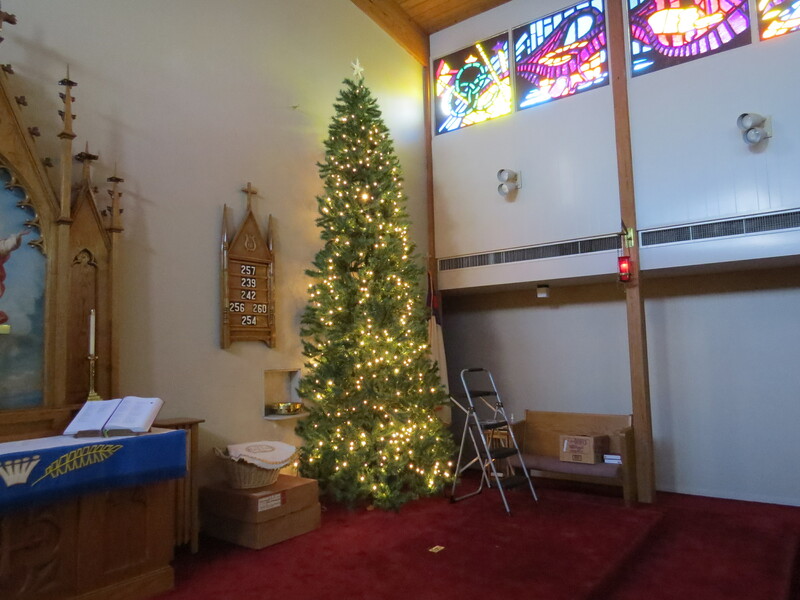 Thank you again to all who gave of their time to get this tree prepared for decorating.